You need tp preheat your oven to 375 degrees. 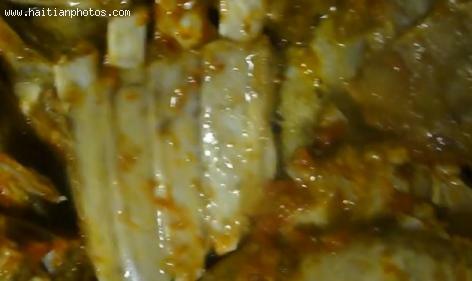 Grate the sweet potatoes and mash the banana into the grated sweet potatoes. Then, mix in all the remaining ingredients except for 1 tbsp. of the brown sugar. 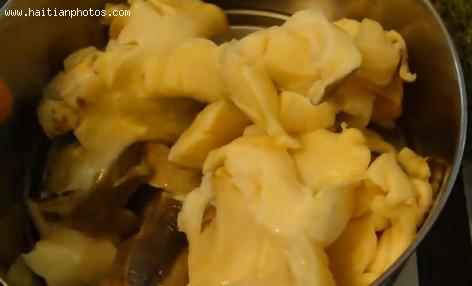 Continue until all are completely mixed into the batter. Line or grease a 9 by 13 inch baking pan then evenly spread mixture in. Top evenly with the reserved brown sugar. 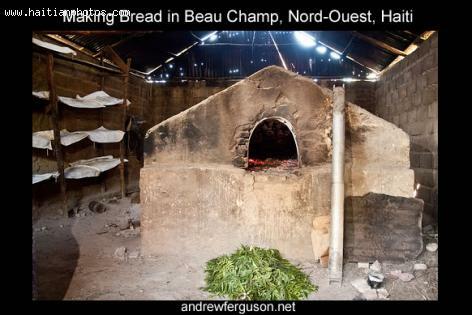 Bake for about an hour and a half. Then, you heat oil or butter in a pot and sauté onions, thyme and garlic until tender. Add water from the mushrooms and bring to a boil. At this moment, you add rice, then season with salt and pepper to taste. 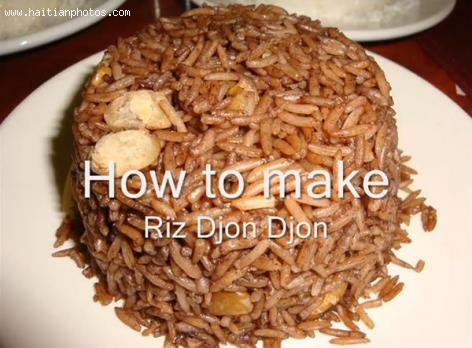 Allow the rice cook for about 20 minutes or until it becomes flaky. Then, heat oil and add beans. then add ingredients to give it taste such as ham, parsley and water. 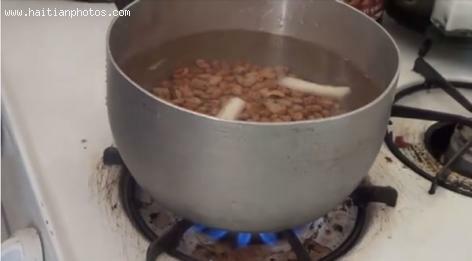 Then, boil until beans are tender. 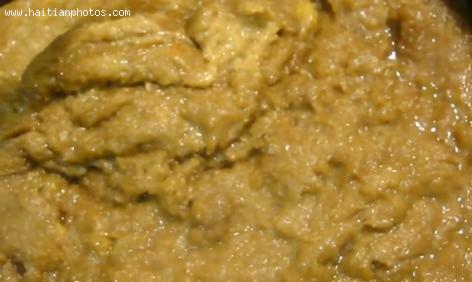 Separate about 80 percent of the beans and blend along with some of the juice into a puree. 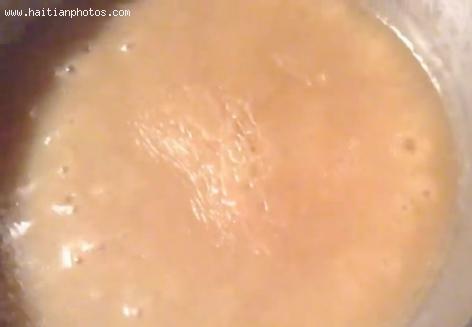 then, return pureed or crushed beans to pan with the remaining 1/4 and cook over low heat. Get beans and rinse in water. Cover beans with water and soak. 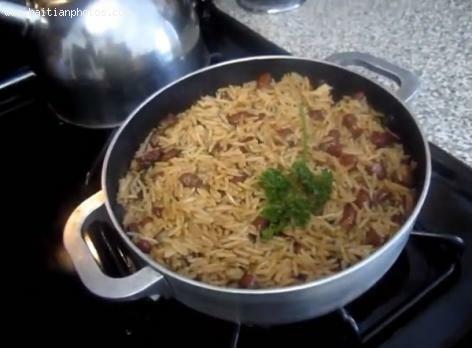 You must cook beans in water until it becomes tender or in approximately 2 hours. Then, fry some salted pork in oil, include onions, green pepper and garlic. Then you add beans and the reserved cooking water. Once it begins to boil, add rice. Cook for 20 to 25 minutes, or until rice is tender. Slices in a blender with 2 cups of water and the ripe banana. Bring it to boil over low to medium heat and bring to a boil. Bring to boil and stir occasionally. It should be cooked for 15-20 minutes until it becomes the consistency of oatmeal. This is an Annual event organized organized by by Haitian Culinary Alliance with support from The General Consulate of Haiti, The Haitian Chamber of Commerce, Offices of Commissioner Jean Monestime and The City of North Miami. It was quite an opportunity to be one on one with some of the best Haitian food. Several local and out-of-town vendors were present, offering samples of the diversity of Haitian cuisine. 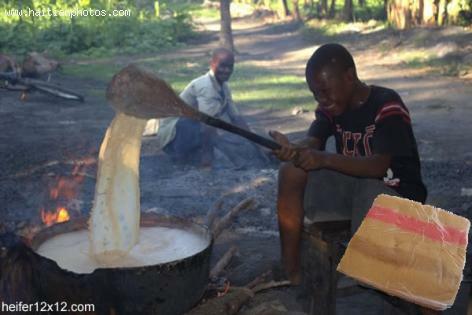 The popular Haitian Douce Marcos or Dous Makos is originated from the city of Petit Goave. It has been exproted all over Haiti and the Diaspora. Based on the information available to us, Douce Marcoss was first produced by a Belgian entrepreneur who settled and put up his business in the coastal town of Petit-Goave in Haiti, Fernand Macos back in 1939. It is made from concentrated milk, which is about 80% to 90% of Dous Makos. You start with combining milk, sugar, and optional cinnamon in order to make a concentrated mixture. Then chocolate, vanilla, and food coloring are added.